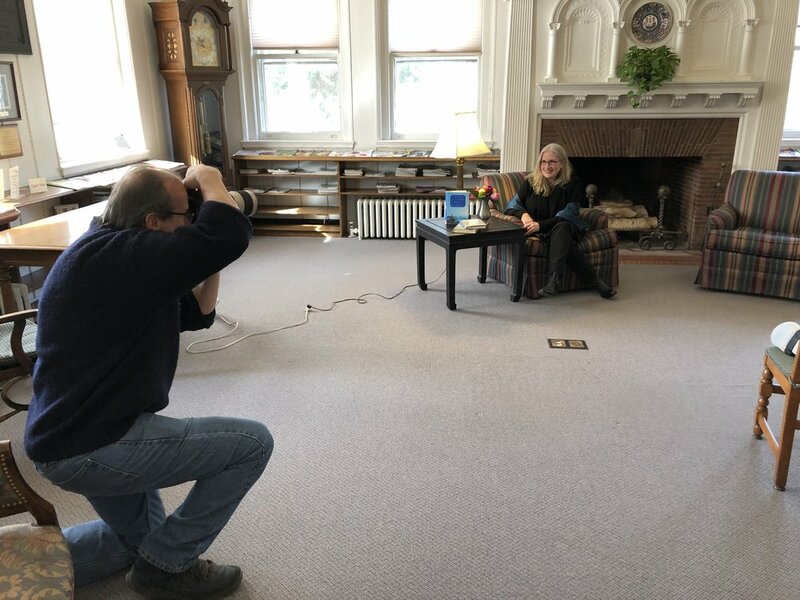 i just had the most wonderful photo shoot at old lyme phoebe griffin noyes library--my home town library and my favorite in the world. here are some behind-the-scenes shots. photographer chris devlin’s photos will run with a piece in our local magazine, lyme & old lyme neighbors. in the interview, i talk about PRETEND SHE'S HERE (out 2/26 but available for preorder now) and, especially, a magical event the library has planned--an author luncheon with me, on sunday march 31st at 1 pm. tickets go on sale march 1st. save the date! i am so thankful to the brilliant librarians who are making this event happen. they have such creativity, enthusiasm, and brio. many thanks to dan henderson, magazine publisher. i’m looking forward to the interview by cameron cooke. 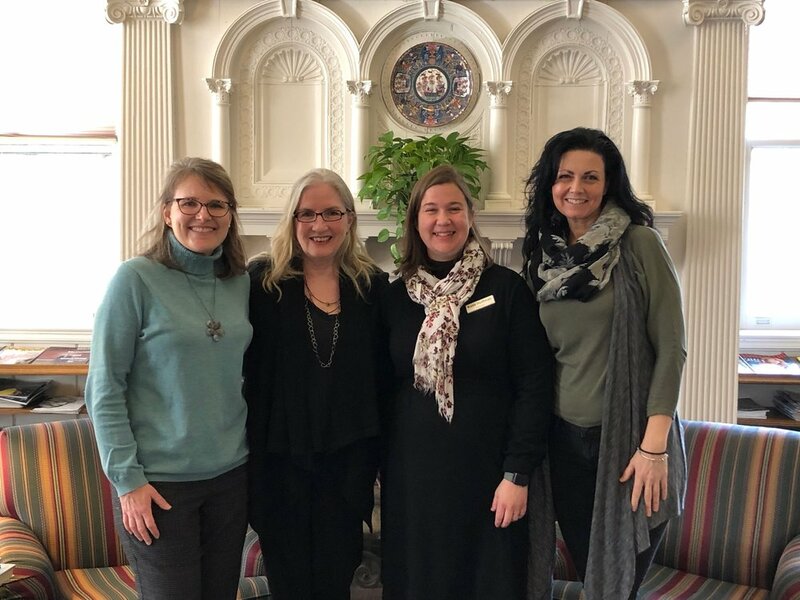 with brilliant librarians, from left: katie balacca, development assistant; me; katie huffman, director; julie bartley, children’s librarian. 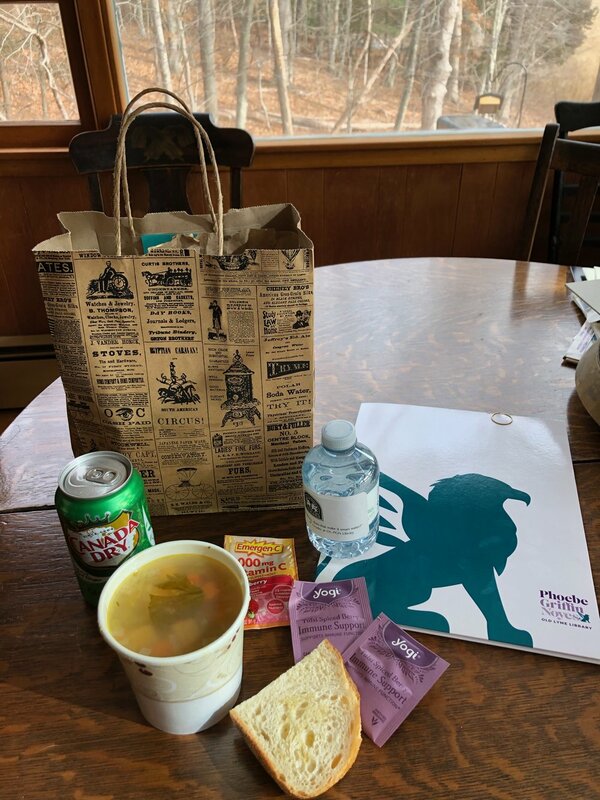 this is how amazing these librarians are: a mutual friend mentioned to katie balacca that i had a cold, and just as i was leaving, they presented me with a care package full of chicken soup, tea, ginger ale, and emergen-c! phoebe, as in phoebe griffin noyes, for whom the library was named, would be so proud. 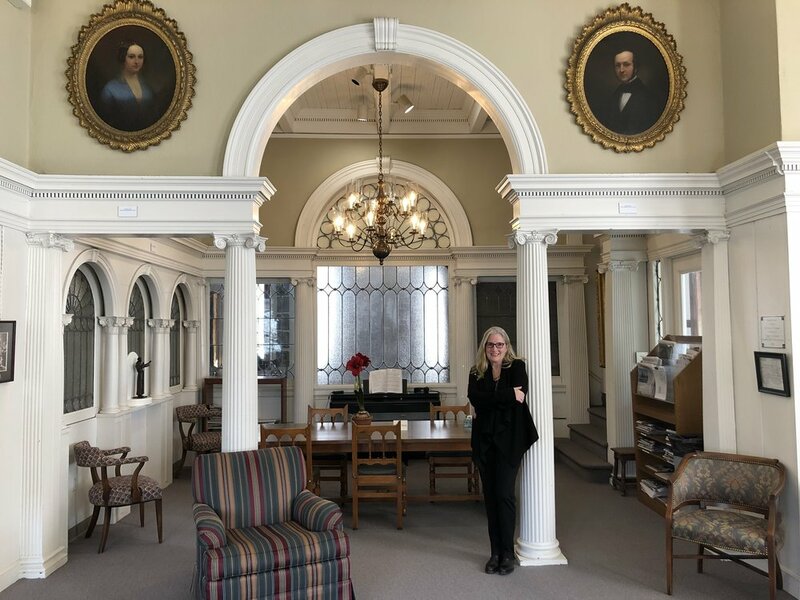 she was, by all accounts, a woman who opened her doors to old lyme and wanted people to come in to talk about art, books, and learning. her mission continues, and the library is in such good hands. i can't wait for march 31st! hope to see you all there!